Indiana University Press, 9780253022448, 280pp. Merrick Lex Berman is Web Services Manager and GIS Specialist at the Center for Geographic Analysis, Harvard University. Berman has developed (with Bill Hays) a Temporal Gazetteer web service, and was the project manager for the China Historical GIS. Ruth Mostern is Associate Professor in the School of Social Sciences, Humanities and Arts at the University of California, Merced. Mostern developed (with Elijah Meeks) the Digital Gazetteer of the Song Dynasty and is author of Dividing the Realm in Order to Govern: The Spatial Organization of the Song State.Humphrey Southall is Professor of Historical Geography at University of Portsmouth (UK). He developed the Great Britain Historical GIS, and the website Vision of Britain. 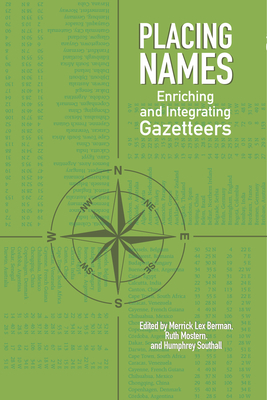 He has been extensively involved with historical gazetteers in the context of GIS and spatial statistics and is now working on PastPlace, a linked data gazetteer of historical place names.